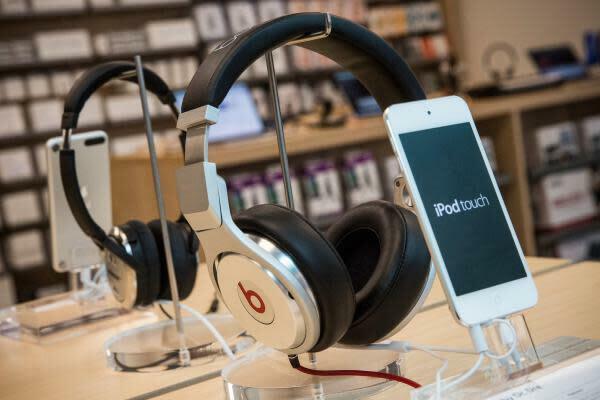 Apple Inc. (NASDAQ: AAPL) is rumored to have closed Beats Music, the streaming music portion of Beats Electronics. The company has since denied this claim, but additional reports claim the Beats Music brand will be eliminated. "The [Apple] brand is incredibly strong, so I was kind of surprised they picked up another strong brand," Rob Enderle, principal analyst at Enderle Group, told Benzinga. "They didn't need it," he added. "The Beats brand was redundant. iTunes had been falling a bit behind the competition, so if they [use] Beats as the new iTunes engine, they could use it to upgrade the service and just migrate everyone over to Beats." Related Link: The Apple Inc. Watch Versus Competitors: What Do Analysts Think? Brett Golden, president and co-founder of The Chart Lab, initially thought Apple wanted Beats to go after a different audience. "Now that I see this, it's telling me that Apple doesn't really want any outside brands," Golden told Benzinga. "They basically want to brand Beats within Apple." If Apple closes Beats Music, it could result in a very pricey write-off. While the company paid more than $3 billion for all of Beats, the music portion is estimated to be worth $500 million. "If Apple is going to close this down and write it off, it shows that even the highest comp in the M&A market is not earning to the headline price tag," Albert Fried & Company analyst Rich Tullo told Benzinga. "To Pandora, that's important because there are M&A rumors on the stock almost on a weekly basis." Sean Udall, CIO of Quantum Trading Strategies and author of The TechStrat Report, is taking a wait-and-see approach toward this rumor. "I think Beats will get rolled into the iTunes streaming music product anyway," Udall told Benzinga. "Technically they might be closing [Beats], but they're probably just going to integrate the two technologies." Udall expects Apple to merge Beats with iTunes Radio to create one cohesive service. "I don't think this [rumor] is anything to be made of," he said. "If I were Apple and I was buying Beats, this is exactly what I'd do." If Beats Music Closes, Then What? Beats Music may be viewed as a small fry, but numerous bloggers were convinced that Apple wanted the company to compete with Spotify and other streaming music services. True or false, what does this mean for the rest of Beats? "There may be some intellectual property in Beats, but honestly I'm not convinced it was enough to buy the company," said Enderle. "Since I'm struggling with why they bought the company, them shutting it down wouldn't be a surprise. But I have a hard time believing they're not going to get some value out of it. And the best value out of those choices would have to be the music service itself, because iTunes has fallen behind the times and they do need to update it," he added. Udall thinks Apple could also derive some value from the headphones business. "What is Apple great at? Taking existing products and making them a whole lot better," Udall concluded.